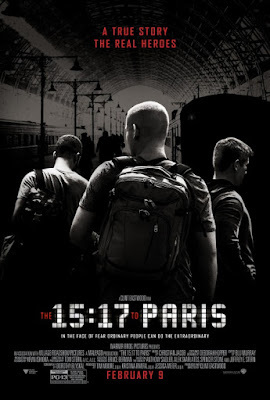 1) The 15:17 to Paris – Props to veteran icon Clint Eastwood for still trying to experiment behind the camera but, yeegads, this docu-drama account of the 2015 Thalys train attack couldn’t be any clumsier if it tried. In a film rife with terrible creative decisions it's tough to nail down the filmmaker's most damning misstep, but casting the real life heroes as themselves was probably the most ill-advised. Saddled with tin-eared, cornball dialogue, the three floundering non-actors try again and again to approximate authentic human behavior to truly cringe-inducing results. 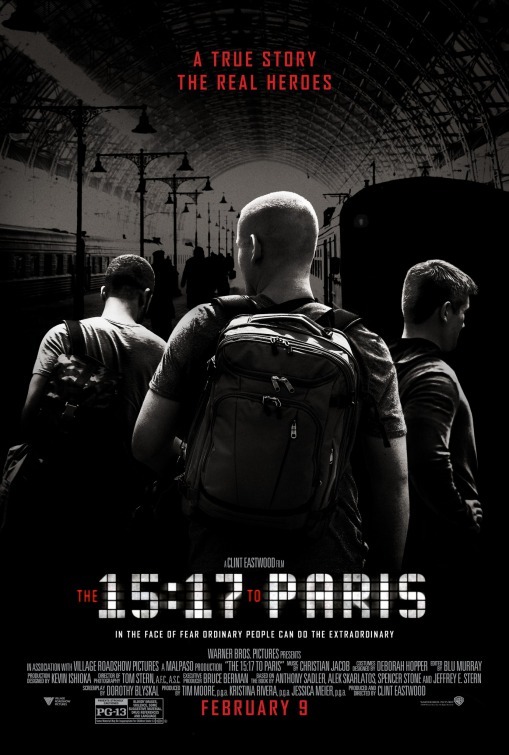 They’re done no favors by Dorothy Blyskal’s insultingly obvious screenplay, which is broken up into three sections that might as well feature the introductory subtitles “Blatant Recruitment Ad,” “Meandering European Travelogue” and “The Part You Came For!” Inexplicably boring, sappy and amateurish, The 15:17 to Paris is the worst directorial effort of Eastwood’s long – and often spotty – career, made all the more unforgivable for transforming a gripping true story into made-for-TV movie-grade schlock that plays like parody. 1) PADDINGTON 2 – Modestly released in North American theatres last January, director Paul King’s superlative sequel to his clever 2015 surprise hit adaptation of Michael Bond's beloved literary icon is a flat-out miracle. Channeling the fantastically-realized, quirky world-building of Wes Anderson and Jean-Pierre Jeunet, along with the enduring sight gag virtuosity of silent legends Chaplin and Keaton, this dazzling and joyful family entertainment frankly put the increasingly back catalogue-obsessed Disney to utter shame in 2018. A timely and gently stirring argument for diverse communities and inclusiveness, the picture wears its big heart on its sleeve while also delivering an abundance of unexpected delights, from MVP Hugh Grant’s deliriously bonkers villain performance to a thrilling, impeccably-constructed third act guaranteed to kick-start the waterworks. 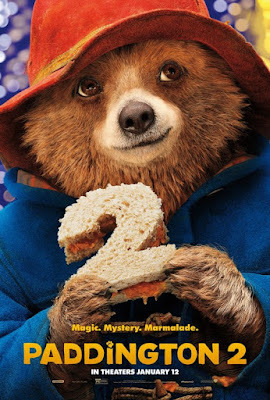 An unlikely hero if ever there was one, Paddington 2’s soulful and optimistic little marmalade enthusiast proved a priceless tour guide to follow on the year’s most fulfilling and magical journey.